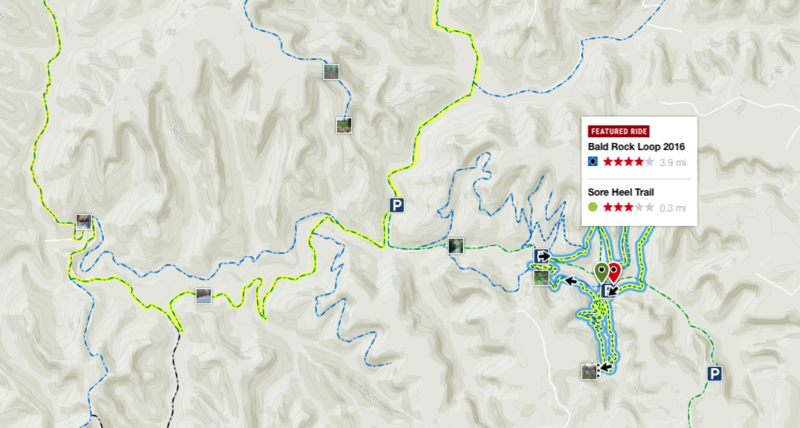 Click here to use the Interactive Map of Mountain Bike Trails in the Lee County and Red River Gorge Area. 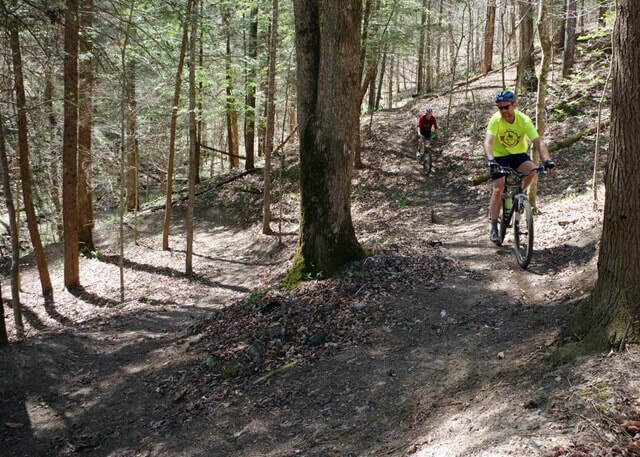 Off Bald Rock Road in Lee County, KY park at the Flat Holler Lot and tryout this 3.9 mile Bald Rock Loop. This property is a part of the Pendergrass Murray Recreational Preserve. ​Follow the group Cave Run Lake-Red River Gorge Mountain Bike Association for more info on how to get involved! 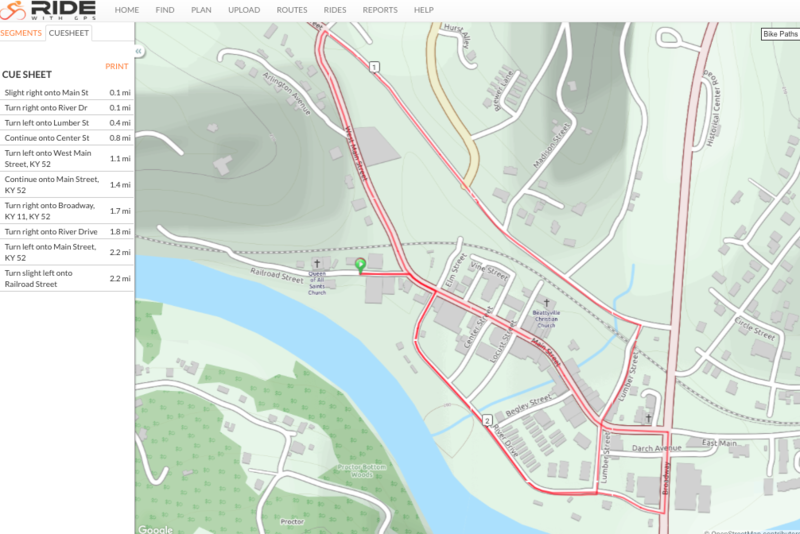 Click here for an interactive map of the Big Sinking to Hell Creek Loop bike ride in Lee County, KY. 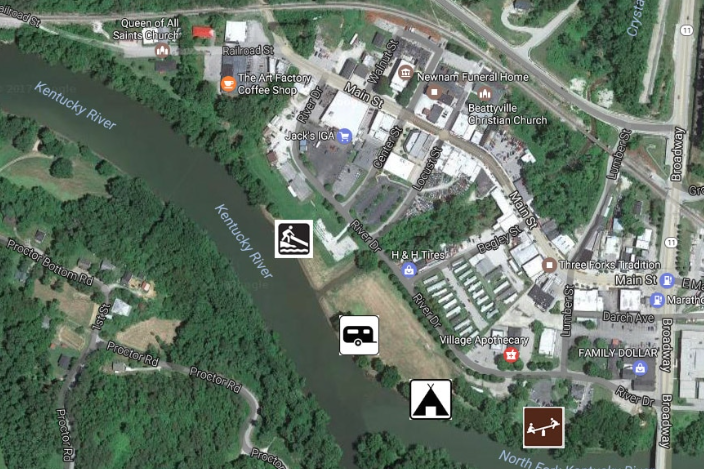 Starting point is at the Park & Ride lot off HWY 11 in Beattyville, Kentucky. Right behind the park & ride is the Lee County Recreational Center. Check them out for pizza, ice cream, drinks, bowling, fitness center, pingpong, and pool tables. Neat hangout for after a 14 mile trip. 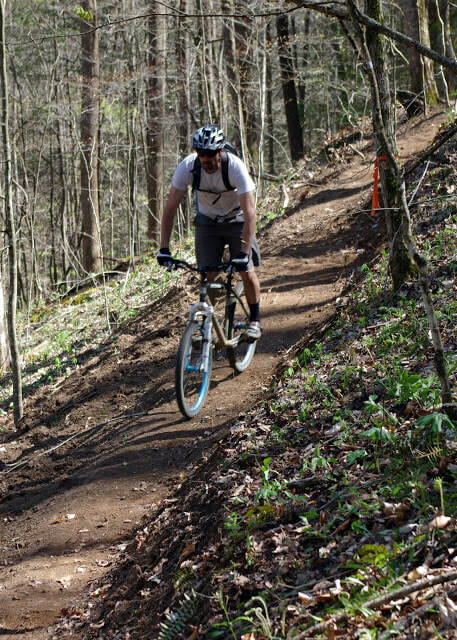 ​Click here to view Blog postings of Red River Gorge Mountain Biking Projects and Trails. Blog was created by local mountain biker Chris Chaney. ​I rode a good loop in the area recently. Of course it was in epic conditions...The Big Sinking/Little Sinking area (which includes Bald Rock Fork and all of PMRP) is a great place to explore and ride gravel county roads, dirt and gravel oil roads, and long forgotten logging and oil roads. 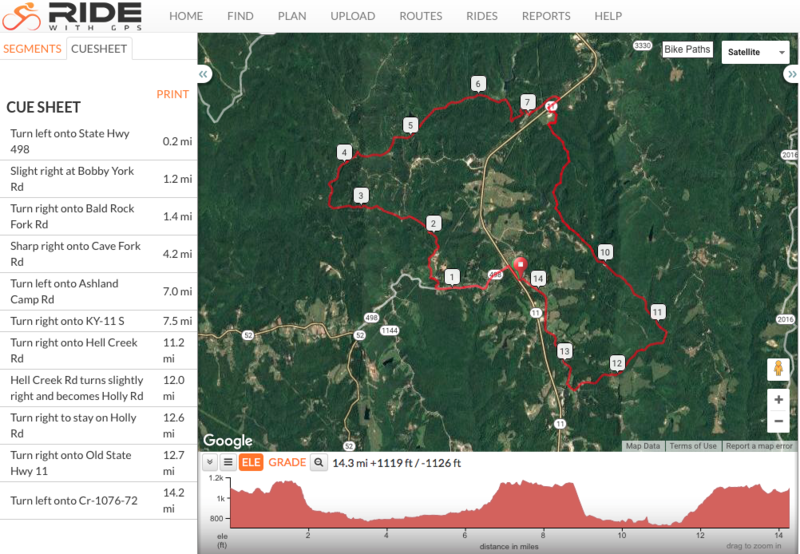 I pieced together a nearly 16 mile loop utilizing a four-ish mile paved section of the Sheltowee Trace, some dirt doubletrack, and gravel county roads. Of course when I rode them there was 6-10 inches of snow on 2/3 of the route. Eastern Kentucky has some epic road opportunities for cycling. 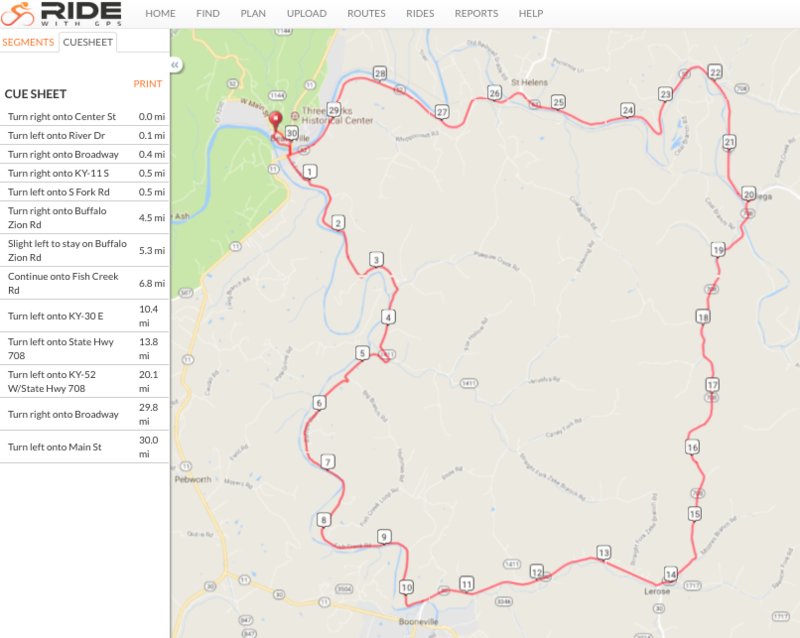 Try this 30 mile Beattyville/Lerose Loop! Stop in the Art Factory Coffeehouse and Bistro for some lunch or grab a coffee and try this beautiful Beattyville Downtown Loop. 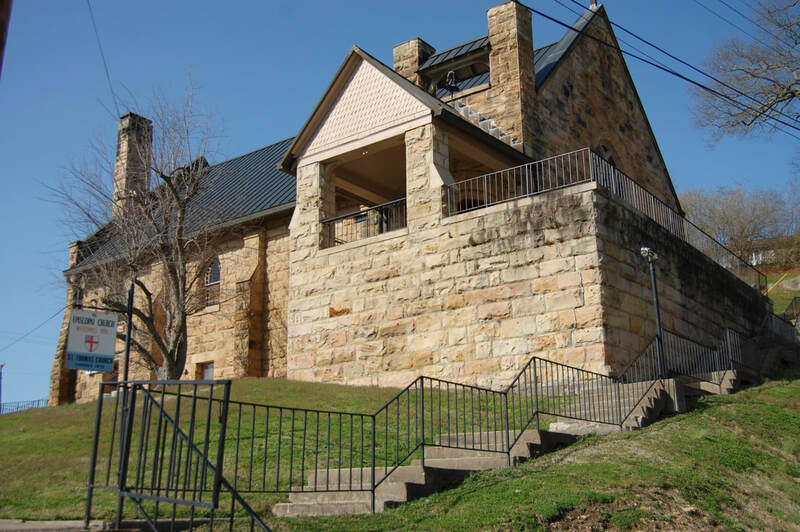 There are many beautiful sites to see along the way including the birthplace of the Kentucky river, the CSX railroad bridge on Lumber Street, and by the St. Thomas Church built in 1896.